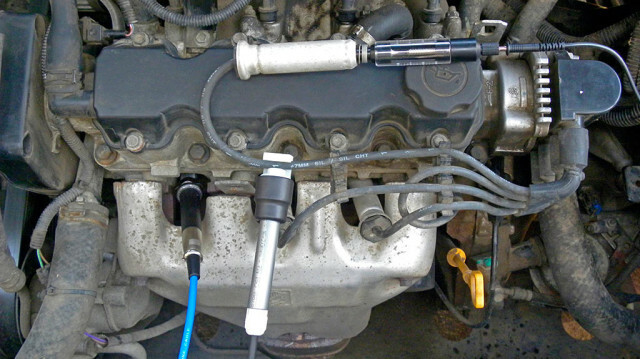 Attaching the in cylinder pressure transducer Px35 using the PxLonger deep well adapter to an engine with a centrally located spark plug. 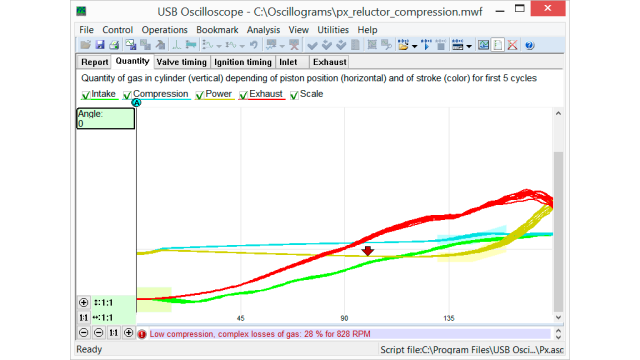 Attaching the cylinder pressure transducer Px35 to an engine that has 2 valves per cylinder. 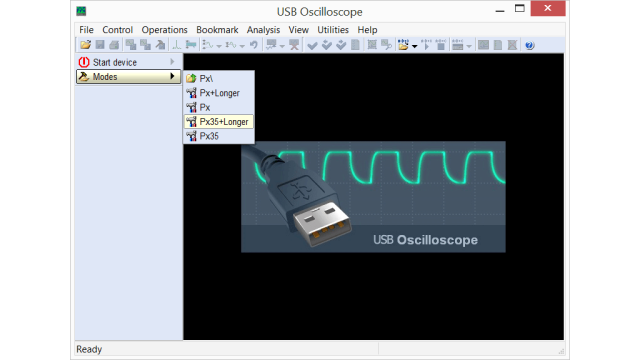 Setting the USB Autoscope IV to the Px+Longer testing mode. 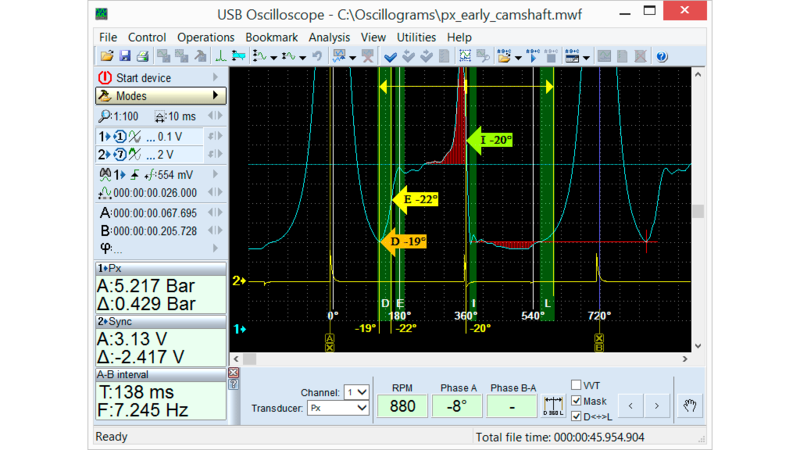 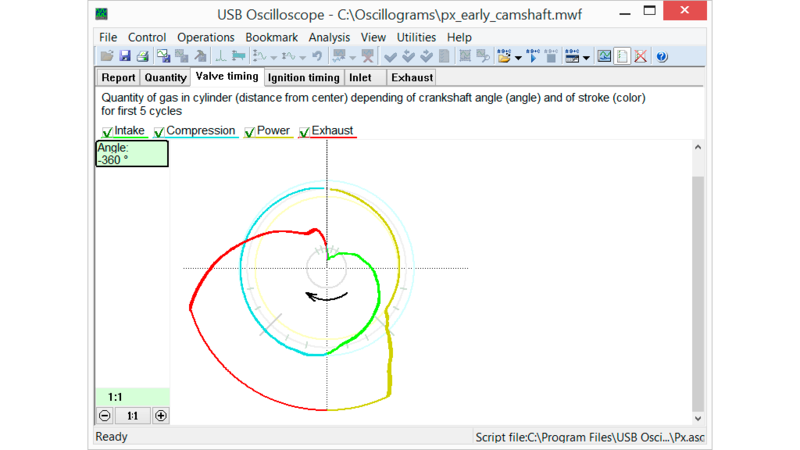 Cylinder pressure waveform from a vehicle with early valve timing. The software automatically detects deviations from normal graphics and marks them using pointers. Tab “Valve timing” from the Px script report, from a vehicle with early valve timing. 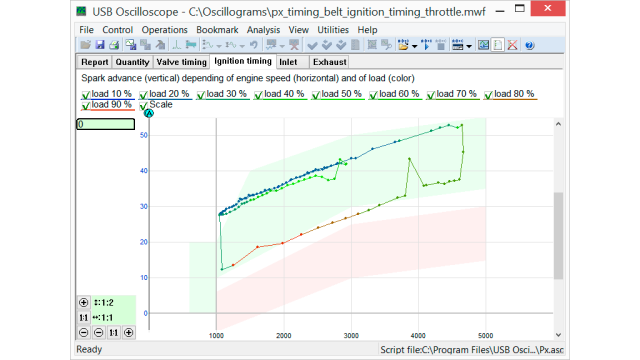 Tab “Inlet” from the Px script report, from a vehicle with early valve timing and small throttle diameter. 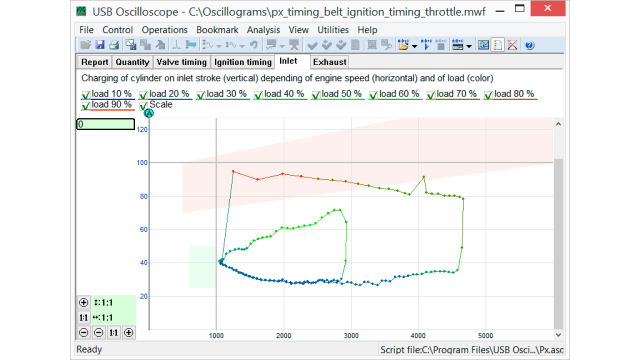 Tab “Ignition timing” from the Px script report, from a vehicle with incorrectly set ignition timing. 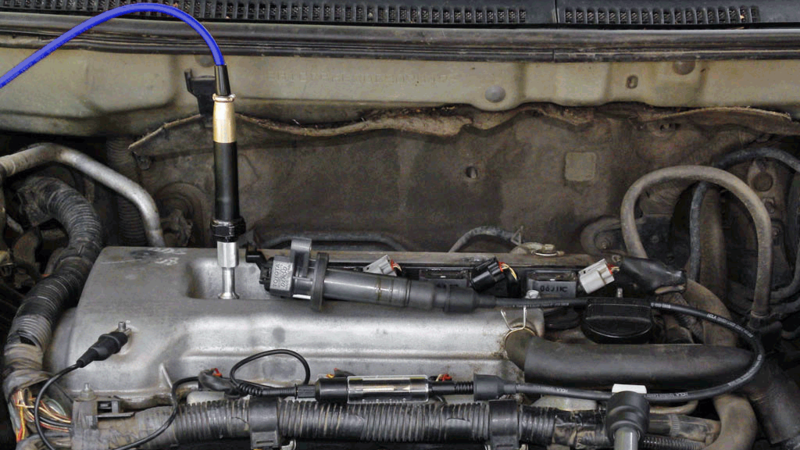 The ignition timing is advanced throughout the operating range. 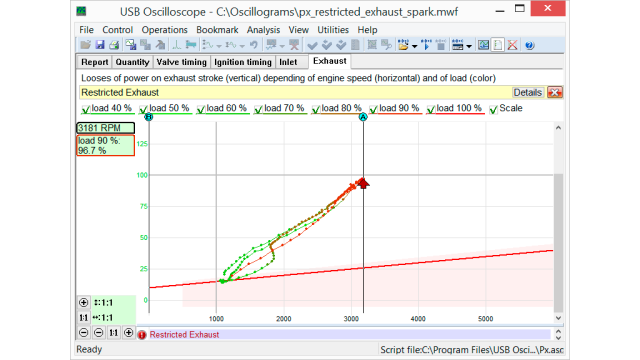 Tab “Exhaust” from the Px script report, from a vehicle with a restricted exhaust system. 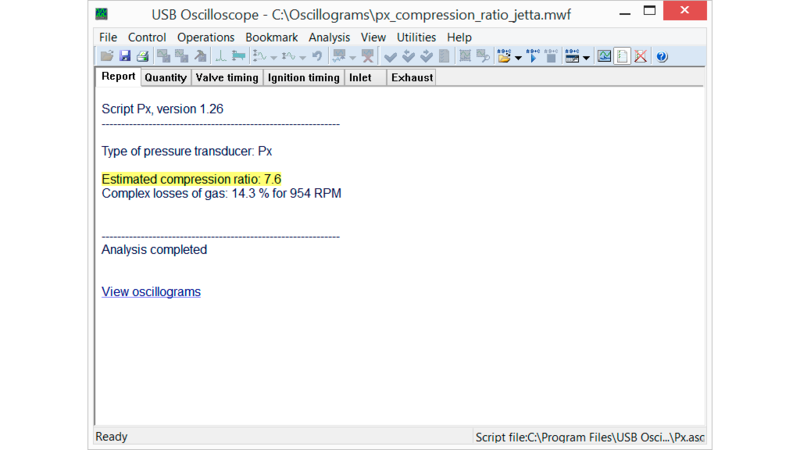 Tab “Quantity” from the Px script report, from a vehicle with poor cylinder filling. Tab “Report” from the Px script report, from a vehicle with low compression.